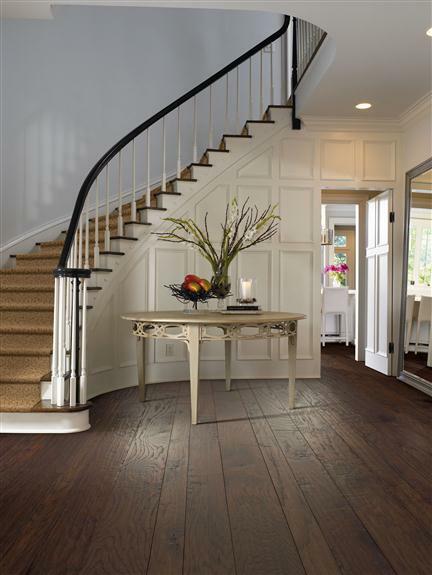 Add a regal style to your home with flooring from Flaherty’s Flooring America. At our local showroom, we offer a collection of hardwood flooring in Houston, TX. Whether you are ready to update your bedroom, dining room, or living room, you will find the right option when you visit us. Our inventory of hardwood floors includes colors and textures that are sure to please even the most discerning homeowner. Speak with our team today for more on our products and services. Hardwood is one of the most sought-after flooring materials for a reason. This stunning option offers classic looks that complement the décor in any room. Available in a number of textures and wood species, solid and engineered hardwood gives you a way to add a touch of elegance to your home. At our flooring store, we proudly provide a wide variety of products for every homeowner. We are available to meet with you to discuss the features and benefits of these products. With our recommendations and guidance, you can shop with confidence for your hardwood flooring. Dreaming of hardwood, but in need of a material that holds up to humidity and extreme temperature changes? Engineered hardwood combines the classic look that homeowners dream of with the durability they need for their space. This material is the perfect fit in bathrooms, basements, and other moisture-prone areas. By choosing this product for your home, you will achieve the style you want with the strength you need. Turn to us to discover the variety of colors, textures, wood species, and finishes for your residence. When you choose this top material for your home, you are free to choose from a number of different installation techniques. Engineered hardwood can be glued, stapled, or floated for a classic look that you are sure to love. Our professionals are happy to speak with you about each of these options so that you can make the right choice for the job. Make your style dreams a reality when you shop with us for your hardwood flooring. As part of our commitment to delivering the top options to every customer, we provide a full hardwood flooring installation service. We ensure that every plank is placed properly, so that you can be free to enjoy your new flooring for years to come. Contact us at (281) 297-8144 to discover more on our hardwood flooring options for your home. Our showroom features products and services throughout the Northwest Houston area.